A co-ordinated rural crime campaign is to be run annually. A Police Scotland co-ordinated rural crime campaign has seen reports of livestock worrying rise 55% from 45 to 70 over the lambing season, and was so successful it will be run annually. 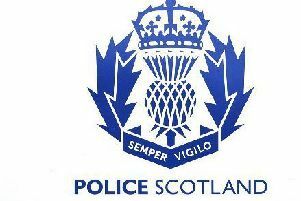 Police officers investigated all reported incidents, and 60% were detected and the dog owner or person responsible reported to the Procurator Fiscal. The bulk of the offences reported were in Aberdeenshire, Highlands and Islands, and Lanarkshire. Sheep were by far the most common animal affected. In 79% of incidents, livestock were killed and/or injured, and on average this involved two or three sheep per incident. Most incidents (70%) involved only one dog. In nearly three quarters of cases, (73%), the offending dog was local to that area, with more than half of all incidents involving a dog roaming free and where no owner/responsible person was present. Inspector Jane Donaldson, Police Scotland Rural Crime Co-ordinator said: “Livestock worrying has previously been under-reported. Farmers were often reluctant to report incidents to police, particularly where there was a ‘near miss’ and no physical damage was done to their livestock. “A significant part of the Spring campaign was to get this message out to farmers and encourage them to report all incidents and I think that this is reflected in the increase in reported crimes. The advice to anyone walking and exercising their dogs in the countryside is to ensure they are under control at all times and avoid going into fields where livestock is grazing. The Scottish Outdoor Access Code says that dogs shouldn’t be taken into fields where there are lambs or other young farm animals.